The Echigo-Tsumari Art Triennial is a modern art festival, held every three years in the rural Echigo-Tsumari region of Niigata Prefecture. The Echigo-Tsumari Art Triennial is a modern art festival, held every three years in the rural Echigo-Tsumari region of Niigata Prefecture. 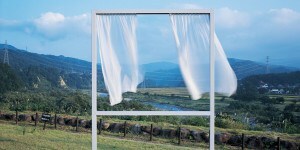 Contemporary art works by many artists from across the world are exhibited across the 760 square kilometre large Echigo-Tsumari region during the triennials, and many of them remain in place between triennials, making a visit worthwhile at any time. Besides the art exhibits, the Echigo-Tsumari region attracts with its rural landscape of terraced rice fields, forested hills and small villages. It is a place to see ‘satoyama’, the traditional Japanese lifestyle of humans in harmony with nature. However, the Echigo-Tsumari region is dealing with grave problems, including a rapidly aging society and a dramatic depopulation, as many young people leave the region to escape the extreme winters and find better opportunities in the cities. Furthermore, the Echigo-Tsumari region was hit badly by a strong earthquake in 2004. The Chuetsu Earthquake in 2004, killed thirty-nine people, injured thousands and damaged many buildings. The Chuetsu Oki Earthquake in 2007 was also felt in the Tsumari-Echigo region, but did not cause damage. 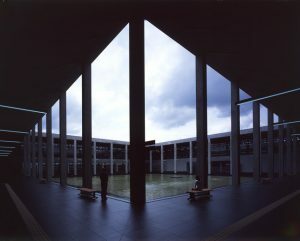 The Echigo-Tsumari Art Triennial was first held in the year 2000 as part of a plan to revitalize the region. The Echigo-Tsumari Art Triennial has succeeded to attract more visitors to the region and involve the local population. 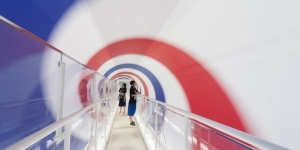 Echigo-Tsumari Art Triennial 2015: Art is how people engage with nature and civilization. 6th Echigo-Tsumari Art Triennial 2015. Echigo-Tsumari Art Triennale Executive Committee (Chairman: Yoshifumi Sekiguchi, Mayor of Tokamachi-City) announces the open call for proposals for the Echigo-Tsumari Art Triennale 2015 which will be held in the summer of 2015. Open Call for Proposals: Echigo-Tsumari Art Triennale. 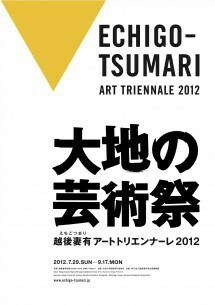 Echigo-Tsumari Art Triennale 2012 publishes the list of participating artists. Participating artists in Echigo-Tsumari Triennale. Submissions are called for two Australian artists and one curator / researcher / coordinator.